Google Home Mini, the rumored Amazon Echo Dot competitor is officially here. Google has recently launched a bunch of ‘Made by Google’ gadgets at the October 4 launch event and this smart speaker is one of these devices. To find out more about this upcoming smart speaker and the Google Home Mini Kuwait price, keep reading. Whether you like the features of this smart speaker or not, you are going to like the simple yet stylish design of the Google Home Mini. 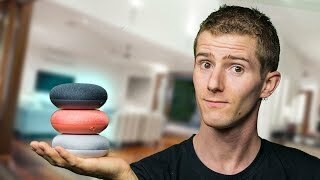 This small smart speaker can fit easily in your palm and according to Google, can be compared to a donut. The top part of this speaker is covered in soft-touch mesh material which helps it to blend in easily wherever you keep it. The bottom part is covered in plastic and includes a micro USB port for inserting the power cord. There is a physical button as well. Right after the Google Home Mini release date Kuwait: it can be found in three different colors: grey, black and coral. Compared to the Amazon Echo Dot, it’s definitely a better-looking device. To help users control the smart speaker easily, the Home Mini comes with touch controls, one physical button and voice commands support. Users will have to depend on those touch controls as there is only one button to mute the microphone. Using the touch controls, users will be able to play and pause music playback and adjust the volume. It can take a while to get used to the touch controls so there is also the voice commands support to help you out. Sometimes it can be difficult to see whether the indicator lights are on or off from a distance which gets worse depending on the color you chose. It’s an actual 360-degree speaker and offers great sound quality. 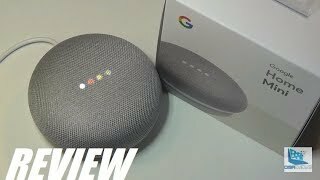 Users can do almost everything that can be done with Google Home which is a pricier smart system compared to the Google Home Mini Kuwait price. 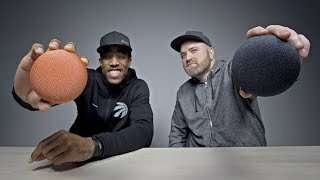 This is what makes the Google Home Mini different from the Echo Dot. 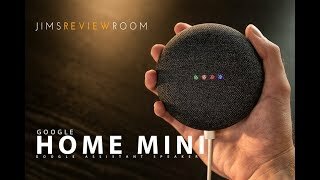 For those of you who are not really a fan of Amazon’s smart assistant Alexa, the Google Home Mini is definitely the better option. The Google Assistant sounds warmer between the two assistants and can be draw from Google’s existing library of online services to offer a personalized information. It can also detect different voices which is not a feature you will find in Alexa. 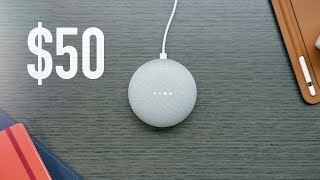 Users can ask the Google Assistant to buy a product from an online store, morning’s weather, entertain your children with stories or traffic conditions. It can be also connected to other smart home gadgets and can be instructed to play a TV show or series on your TV or play music from one of these music services: Google Play Music, Spotify Premium, Pandora, YouTube Music, TuneIn and iHeartRadio. There is no line-out jack but it can be connected with external speakers using Chromecast Audio. There is the Google Home or Amazon Echo if you are looking for something bigger and better. 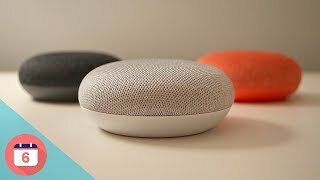 The Google Home Mini will be available for KWD 0 .99. The Google Home Mini release date Kuwait is expected sometimes after October 18. 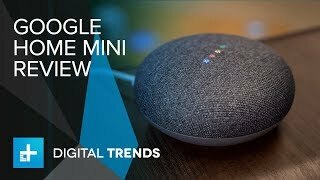 The home mini Speaker is manufactured by Google and was added around October 2017 and is part of the Google Home Mini series. This version of the Speaker comes in Special Features : Bluetooth.